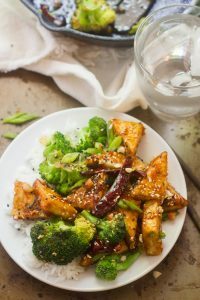 Crispy tofu triangles are drenched in sweet and spicy gingery sauce and served up with broccoli and rice to make this flavor-packed General Tso’s tofu. One of my very first tofu experiences involved General Tso’s tofu, and I’m sorry to say that it wasn’t very good. Most restaurants that put tofu on the menu know what they’re doing, but sometimes they don’t. Anyway, it was probably one of the only vegetarian things on the menu, so I gave it a try, and it was too sweet, kind of soggy, a bit bland. All the things General Tso’s tofu should not be. I remembered hearing a tofu-hater once describe the flavor and texture of tofu as similar to wet bread, and that’s came to mind. I nicknamed the dish General Tso’s French toast, and that name persisted. Forever. Years and years later, when I’d had so many awesome plates of General Tso’s tofu (it’s now a Chinese vegetarian restaurant favorite), I had to bite my tongue when ordering in order to not request a plate of the General’s French toast. So I have quite a history with this dish. It’s about time I cooked some up in my own kitchen! I did venture into making some General Tso’s not chicken out of seitan a couple of years ago (my second vegetarian Chinese restaurant favorite), but this is the first time I’ve made it with tofu. The sauce for this recipe is loosely based on my not-chicken Tso’s sauce, with a few tweaks. It’s spicy, sweet, and loaded with flavor. The tofu gets dredged in cornstarch and pan-fried until crispy. It’s everything General Tso’s tofu should be. So all in all, this dish wins hands down over General Tso’s French toast. Know a tofu newbie? Or maybe you’re one? Cook up a batch of this! 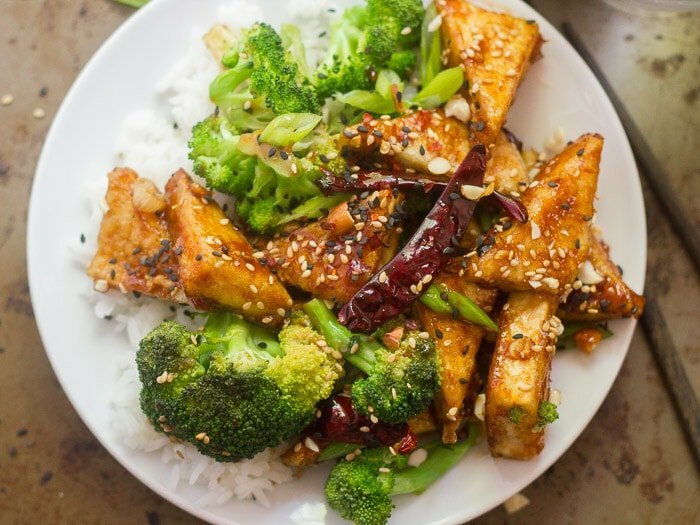 Crispy tofu triangles are drenched in sweet and spicy gingery sauce and served up with broccoli and rice to make this flavor-packed General Tso's tofu. Cut the tofu into 1-inch triangles (or cubes, or your favorite shape!). Place the cornstarch into a shallow bowl. Generously coat the bottom of a large skillet with oil and place it over medium heat. Dredge each of the tofu triangles in the cornstarch, and then transfer them to the hot skillet. Cook for about 5 minutes on each side, until crisp. Transfer the tofu to a paper towel-lined plate. If the skillet is dry at this point, add a splash more oil. Raise the heat to high. Add the chile peppers, white parts of scallions and broccoli. Stir-fry until the broccoli is tender-crisp, about 4 minutes. 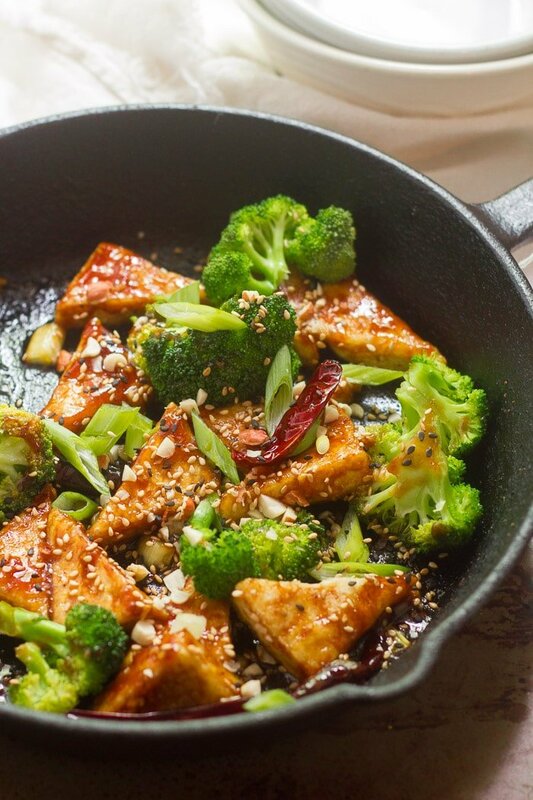 Return the tofu to the skillet and add the sauce. Flip a few times to coat the broccoli and tofu with the sauce. Cook just until the sauce thickens, about 1 minute. Remove from heat and sprinkle with green parts of scallions, sesame seeds and/or peanuts. Divide onto plates and serve with rice. *For a milder version of the dish, remove the seeds from the dried chiles before adding them to the skillet. You can also skip the chiles altogether, or substitute sriacha or sambal oelek to taste. Nutrition information includes 1 teaspoon of sesame seeds per serving and does not include rice or peanuts. 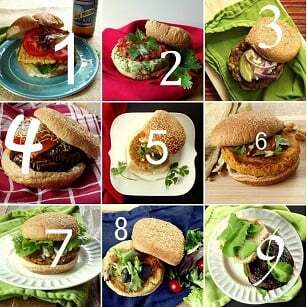 I am supposed to avoid soy products, but your recipe looks so yummy! So I Googled “non-soy tofu” and found an interesting alternative: https://www.mynewroots.org/site/2014/04/genius-chickpea-tofu/ It is chickpea tofu and used a lot in Burma. I’m not sure if it will work with your recipe, but I might give it a try. Just thought I would share. That’s actually been on my list to try forever! I’m very curious and I’d love to hear how it works out if you give it a try. Hello, I made this for tonight’s dinner just omitting the chili, since I can’t handle it, and leaving everything else as is. I’m Italian and people say I know how to cook, and let me tell you this recipe blew my mind. 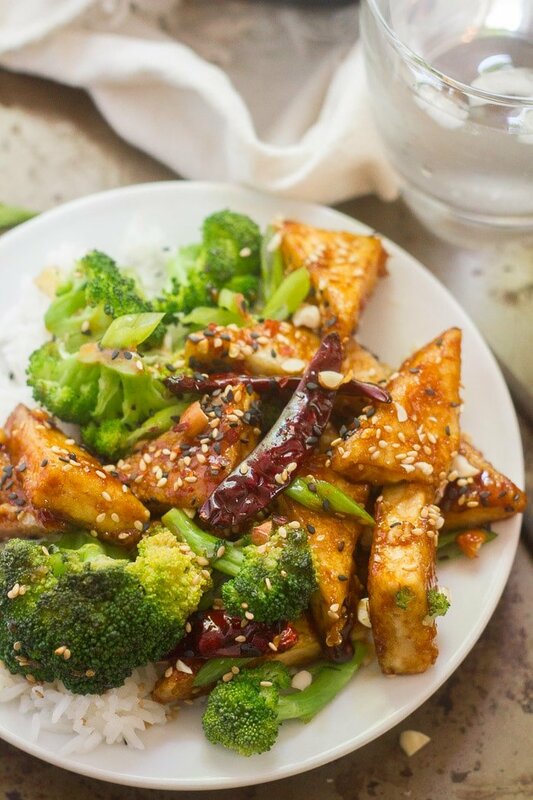 It is perfectly balanced with the sweet and sour sauce, the crunchy tofu and softer broccoli. Simply amazing. Will definitely make it again and will also try other recipes from your blog. Thanks! Yay! I’m so happy to hear that! Thanks Lilia!! This was my first time eating or making tofu. Your instructions were so good and helpful. We just finished it and my husband asked if there was anymore. It truly was delicious and now will be in my permanent recipe bank. Thanks for your hard work and great recipes . I’m so glad to hear you both enjoyed it! Thanks so much Karen!! One thing I learned about these tofu dishes, is that you need to get out as much of the liquid out as possible. Cut the block of tofu in cubes, place on paper towel or better yet, a dish towel. Carefully place another one on top and put something with some weight on top to squish out the juices. Like a plate perhaps. The drier the tofu is before you fry it, the crispier it is when finished. I made this for dinner last night and it was absolutely delicious. I eat a fair amount of tofu and I can’t believe that I have never dredged it in corn starch before. What a revelation! It was crispy and chewy and soaked up the sauce so beautifully. This recipe is an absolute winner and I know that I’ll be making it again and again. Thank you Alissa for another fantastic recipe! The cornstarch thing was a total game changer to me too! I’m so glad to hear you enjoyed this. Thanks so much Pam! I’m so happy to hear that!! Thanks Ginny! This was very tasty. The only change I would make is to increase the amount of sauce. I will make it again! I’m glad you enjoyed it!! Thanks Judith! This was great – a big hit with the family. We doubled the sauce and didn’t find it to be “too much” but next time we’ll definitely double the broccoli! Wasn’t quite the sweet General Tso’s that we know and love but was still really yummy! Thanks Sharon! Sounds like a delicious meal! I’m glad you enjoyed it! Can you bake tofu instead of fry. I often marinate tofu slabs and bake until browned and chewy. Absolutely! I’d use a mild marinade because I could see the flavor becoming super intense with the sauce. Enjoy! Made this tonight for the second time and served to someone who thought she didn’t like tofu. Surprise! She loved it! Left out the broccoli, because I had baby eggplant, baby bok choy, mushrooms, and onion slices that needed to be used up. Left out the chiles, also, because she won’t eat too spicy either. Used a little cayenne. Absolutely an amazing dish! Very versatile, and super yummy! Thanks, Alissa! That’s great!! And it sounds like an excellent meal! I’m so glad you both like it! Can I make this oil free? Perhaps! 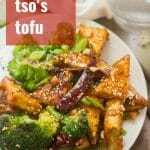 I’d skip the cornstarch coating and simply cook the tofu over medium heat in a good nonstick skillet. Be super careful to avoid sticking!